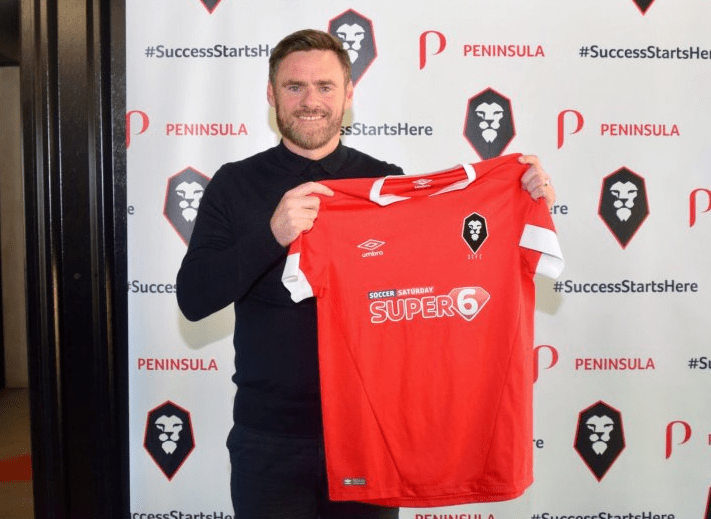 Graham Alexander has been confirmed as the new manager of Salford City this afternoon on a four year contract. The former Fleetwood Town boss takes over after the exit of duo Anthony Johnson and Bernard Morley last week. The 46-year-old left Scunthorpe United earlier this year and he says the challenge of taking the National League North champions forward is one he couldn’t turn down. Alexander said: “I was immediately impressed by the scale of the ambition this club and the owners have. “It has made rapid progress over the last four years and I am delighted they have asked myself and Chris to spearhead the next stage of the club’s development. “As a manager you have to look for certain aspects of what can be achieved at a new club and the possibilities here are boundless. Ammies owner Gary Neville believes he has the right man. “After what happened last week we had to react quickly,” he told the club’s website. “Sporting director, Chris Casper, led the process and when he made the club aware of the opportunity to secure someone of Graham’s experience and credibility we moved decisively. Capser said Alexander has the makings of a great manager and he is excited that the Preston legend has agreed terms. “When we met with him, we were impressed with his values, his passion and his drive,” the Sporting Director said. “His wealth of experience will certainly benefit Salford as we look to take on the challenge of playing in the National League.